For as long as I can remember, I’ve headed off to my mum’s on a Sunday for dinner. It’s become much more than just habit, more of a tradition, and one that I try not to miss, working our plans around it. I’m very close to my mum, but since I moved out and became a mum myself, I don’t spend much quality time with her. She is amazing with the kids and helps out a lot with them, so I do tend to see her throughout the week, but this is more fleeting visits. On a Sunday we sit down at her house and all eat a meal together. It gives us a chance to talk about our weeks, to plan things for upcoming weeks and months and for me to feel like a child again being cooked for and handed a slice of chocolate cheesecake after my roast. My mum will be first to admit that she isn’t the best cook. 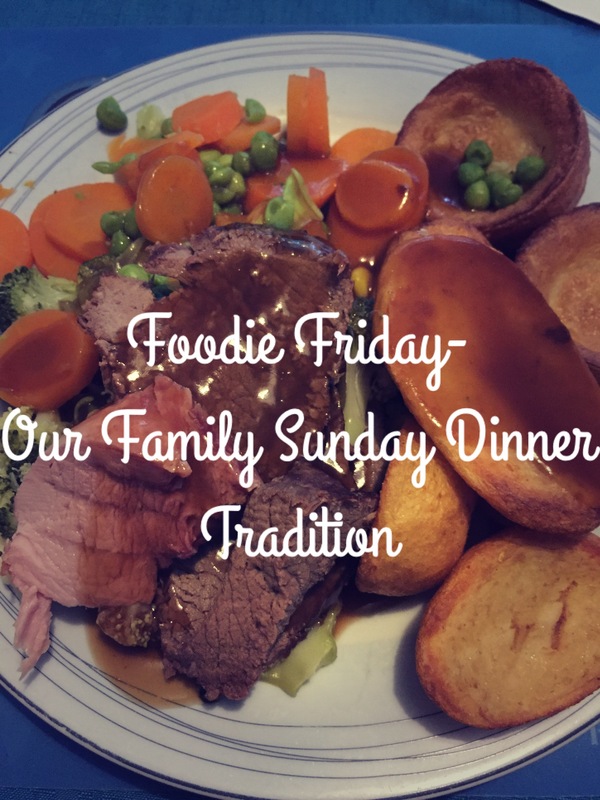 She didn’t cook much when we were growing up and she’s not a very adventurous eater so she tends to stick to the British classics for her dinners, but you can’t go far wrong with a classic roast, and I think there’s just something extra special about a roast cooked by your mum. I know there are people out there who don’t have their mum still around so I really appreciate that I am lucky enough to be able to share a slice of my week with my mum, my kids and Ed (we are often joined by my brother, sister and nan as well). Ed and I are planning on giving my mum a break soon and hosting at ours. Do you have a Sunday lunch/dinner tradition in your family?